The National Audit Office (NAO) has recognised the significant challenge for the Department for Environment, Food & Rural Affairs (Defra) in coping with the demands of Brexit, including in building the necessary IT systems. But it says more needs to be done, warning that Defra does not have a clear vision either for the new services and functions it has to introduce or for the organisation as a whole post-EU Exit, and it therefore has limited understanding of future costs. In a new report, “Progress in Implementing EU Exit”, which focuses on Defra’s readiness, the NAO says, “Defra has achieved a great deal in difficult circumstances and to a very demanding timescale. To prepare for EU Exit, it has drawn up detailed plans for most of its work streams, designed and started to build new IT systems and functions, managed a rapid expansion in its workforce and started to prepare the huge volume of legislation needed to ensure a functioning statute book. However, Defra still cops criticism from the spending watchdog over the overall progress made in delivering its work streams. The NAO also said Defra has missed a high proportion of its project milestones, which was put down to original plans being optimistic and based on planning assumptions that later proved incorrect. 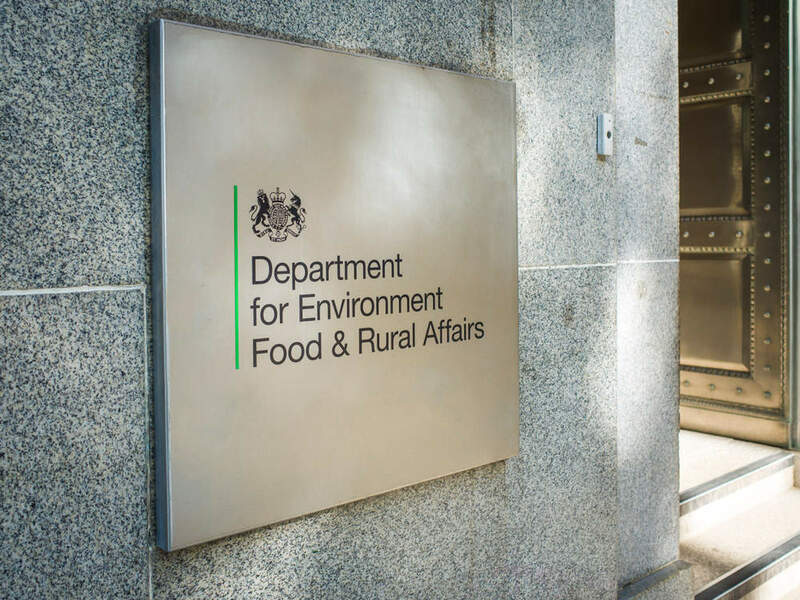 The NAO said the Defra group as a whole is already changing significantly and will have to change further as it prepares to deliver new services and functions. “Although not knowing the terms of the UK’s exit makes this more difficult, Defra needs to consider how EU Exit affects its organisational strategy and future vision, “ the NAO said. “It has not yet adapted its target operating model for the group as a whole post-EU Exit or developed detailed target operating models for each of the major new services and functions, such as managing food imports and exports and a new chemical regulatory function, that it will take on. Given the time imperative, Defra has until recently focused on putting in place the IT systems it needs for March 2019 if there is no deal, but consideration of what the full services will look like and how they will be managed is also urgent. The NAO explained that because Defra has not fully defined its future service requirements, the department has not yet ensured that the new IT systems it is developing can meet future operational capability, as specified in its outline business cases. The NAO said that since its publication of a report in December 2017, Defra has reviewed the need for IT and digital developments to reduce demands on the Data, Digital and Technology Services division that delivers Defra’s IT developments. This has resulted, the NAO said, in the number of work streams with an IT component falling from 20 to 14 as at March 2018; in July 2018, this was further reduced to 11 following the amalgamation of four of its work streams. legislation and that 25% of EU laws apply to its sectors. Discussing the IT systems supporting the regulation of chemicals, the NAO pointed out that in 2017, UK exports of chemicals and chemical products amounted to £28.3bn, £17bn (60%) of which was to other EU member states. The exports are predominantly by small- and medium-sized enterprises that make up 97% of the sector. The NAO said, “If a negotiated settlement is not reached for trade in chemicals, the UK will end its participation in the European Chemicals Agency, and will need to establish its own regulatory regime for chemicals and facilitate continued trade for the sector. UK chemical manufacturers currently use the EU web-based system, REACH (registration, evaluation, authorisation and restriction of chemicals), which took 14 years to develop and contains over 200 pages. On IT systems to support imports of animals and animal products, the NAO said, “If there is no deal, Defra will need to establish the UK’s own system for imports of animals and animal products, including food. As with the new chemical regulatory function, Defra is focusing on building an IT system that will provide the minimum operating capability, assuming the UK will no longer have access to the import functions of the EU’s TRACES system. Its approach therefore focuses on data processing and the development of screens. As with REACH, there is a risk that the approach may restrict the development of longer-term functionality, such as adding further modules for plants and other commodities. The NAO said Defra has repeatedly escalated its concerns to DExEU over restrictions on stakeholder communications but some restrictions remain in place. In its overall conclusions, the NAO said, “Defra has done well in very difficult circumstances. Despite facing many challenges that are outside its control, it has rapidly expanded its workforce, quickly filling some of its skills gaps and moving ahead with building the IT systems it needs in case no deal is reached with the EU. Import regime for animals and animal products; import control system (TRACES replacement). Policy development for the long-term import control regime for animals, plants and their products. New immigration framework to address the labour requirements of Defra’s sectors. Policy and schemes to allow for the movement of horses between the UK and the EU. Policy and schemes to allow for the movement of pets between the UK and the EU. System to manage the intellectual property protection of varieties of plants and seeds across the UK and EU. Continued access to vaccine banks for specific animal disease outbreaks. Transfer of EU Reference Lab activity to EU and new relationships with EU Research Labs. Replacement of information gained from EU animal and plant health intelligence sharing systems. Development and implementation of an international communications and influence strategy for the UK on animal and plant health topics. Policy and control systems for exports and imports of plants and plant products to and from the EU. Maintaining existing standards for food safety, animal and plant health and animal welfare, both within the UK and for imports from other countries. Maintaining an effective regulatory system for the management and control of chemicals to safeguard human health and the environment, respond to emerging risks and allow trade with the EU that is as frictionless as possible. Amendments to regulations on floods and water. Transferring EU Common Agricultural Policy (CAP) into UK law. Ensuring CAP schemes remain operable following the UK’s exit from the EU. Continued access to satellite data for Defra and developing longer-term solutions for accessing satellite earth observation data. Alternatives to current framework programmes (including Horizon 2020) for research and determining approach to international networks and partnerships in research (expanding international research) including the 5-eyes community (an intelligence alliance comprising Australia, Canada, New Zealand, the UK and the US). Determining a mechanism to bring together the UK strategic research community on land use, air quality and marine ecosystems to support medium-term policy advice.